Achieving ISO compliance sets your small business apart from your competition, proving you have what it takes to adhere to strict regulations and rigorous evaluation of your systems and processes. When it comes to environmental excellence, ISO 14001 is the leading standard for protection of our planet and its valuable resources. With more than 300,000 organizations certified world-wide, the importance of environmental excellence grows more and more relevant and crucial to success every day. Like all ISO standards, 14001 follows the principles of action for improvement, management commitment, and company-wide involvement regardless of business size. More a set of tools than a set of regulations, the 14001 standard allows companies to manage their environmental responsibilities within the plan-do-check-act approach that is familiar to ISO compliance. Developed by ISO Technical Committee ISO/TC 207, 14001 and its supporting standards focus on systems that address internal and external audits, communication, life-cycle analysis and labeling, and environmental challenges. It sets criteria and framework that organizations can follow to set up an effective Environmental Management System (EMS) and can be used by companies of any size in any industry. Compliance, and eventual certification, serves as proof to current and potential customers, suppliers, and stakeholders that the impact the company has on the environment (no matter how small) is being consistently measured and improved upon. Organizations will evaluate how aspects of their business impact the surrounding environment and may examine operations, waste management, air, water, and soil contamination, climate change impact, and efficiency. 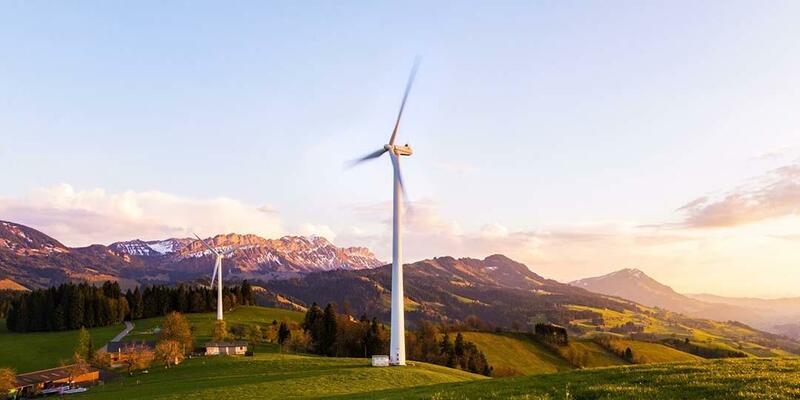 By addressing the risks and opportunities directly related to their environmental impact, the company positions themselves to meet and exceed the standards and demands of potential new clients, increasing their potential for growth and profitability. 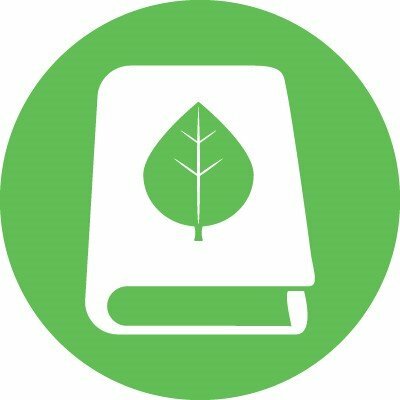 Choosing to work toward ISO 14001 compliance is often a decision made out of necessity to comply with a potential customer’s requirements. However, the benefits a business can reap from implementation (especially small businesses) prove that the work put into ISO 14001 compliance can be for more than just contract satisfaction. Often, when the topic of environmental impact makes headlines, stories are tied to large, multinational corporations. In order to display to stakeholders that they are doing everything in their power to minimize their impact, these organizations find ISO 14001 certification to be highly valuable and worth paying attention to. For smaller organizations, it’s surprising to find that the benefit of implementing the standard exceeds that realized by larger organizations. Not only do smaller companies see improved environmental performance and demonstrate to their teams, suppliers, customers, and investors their responsibility to the planet to heart, but they also win new contracts, eliminate waste, and improve efficiencies that catapult growth. By addressing a wide array of areas impacted by environmental excellence, companies can decisively evaluate how their organization may find growth through compliance and certification. From improved professional relationships, regulations and legal compliance, increased profitability, process and change management, and company-wide communication, business of all sizes will benefit from implementing the ISO 14001 standard for excellence. Whether or not a contract calls for ISO 14001 certification, proof of time spent and effort put toward ensuring compliance with these high-level standards proves to stakeholders that companies are not afraid to get their hands dirty to do things right. And that doesn’t just mean customers. Suppliers, employees, investors, and even the local community will be affected by the impact companies make on the environment. As the focus of the general consumer population becomes more and more focused on environmental impact, organizations should world to be prepared to answer the ever-more-stringent call for excellence. Demonstrating this excellence through a well-formed and consistently monitored EMS will increase trust by providing assurance of measurement of a company’s affects. It also allows continued work toward improvement even after companies meet certification standards and can create a positive domino effect for partnership with suppliers who must meet benchmarks. The number of environmental regulations placed on companies in all sectors increases every day. ISO 14001 lays out a framework that helps organizations identify and track compliance with requirements that apply to their business. They are able to monitor changes associated with environmental impact and lay out plans to remain compliant in order to satisfy all legal obligations and regulatory requirements. Reduction of cost isn’t a benefit that is as obvious to companies pursuing ISO 14001 compliance, but an EMS can play a large role in increased profitability driven by reduced spending. Using the system to keep track of energy and resources spent to create deliverables naturally results in improved efficiency and reduction in spending on energy and materials. By eliminating waste, reducing consumables, and saving on energy, bottom lines skyrocket. Moreover, some companies will benefit from the elimination of environmental incidents that result in fines, cleanups, repairs, and other liabilities. All of this will result in the ability to improve financial advantage over competitors – less cost results in a more affordable product, and customers will take notice. As with all ISO compliance, a large focus of implementing this system will be on process improvement and managing change. Ensuring accuracy of data will increase success and thorough exploration of the root cause of problems will lead to proper solutions that prohibit repeat offenses. Companies will take the time to communicate, educate, and implement real changes that are tracked and closely managed by leadership teams. Focusing on the development of a solid, repeatable process provides a safeguard for future project success. As the system works to develop continuous improvement accountability, businesses move from addressing necessary issues and small initiatives to tackling larger, organizational enhancement plans. It’s important to know that compliance does not require certification from a third party. When companies choose to implement ISO 14001 for environmental excellence, creating and maintaining an effective EMS may not be a requirement of their customers, and compliance (as opposed to certification) may satisfy plans. Small businesses often choose compliance without taking the full step to certification simply due to the added cost of the third-party audit. Others may choose to forego certification due to company policy, customer-led audit, or the satisfaction of regulations by compliance only. So why pursue full-blown certification? Having a certification body check out an EMS shows due diligence of responsibility to the environment and opens the doors for the contracts that do require certification. Additionally, certification sets a deadline on EMS projects which can provide motivation to teams to complete tasks and implement the changes necessary for positive improvement. In a global economy that is moving quickly toward more stringent regulations, certification proves that companies are leading the pack when it comes to environmental excellence. Working toward ISO 14001 compliance and certification requires organizations to follow a structured process to develop an effective EMS. With specific touch points and by following a process approach, organizations will find a results-driven improvement system. As with many ISO standards, 14001 requires companies to implement a process approach to the development of their EMS. The term “process” refers to actions and activities that can be consistently repeated to produce change to a product or service based on a series of inputs. “Inputs” are any element or information that feeds the process. The “process approach” is when all of these aspects are managed together as they work toward an end goal. Through this approach, each process will product “outputs,” which can relate to both deliverables and undesirable factors. 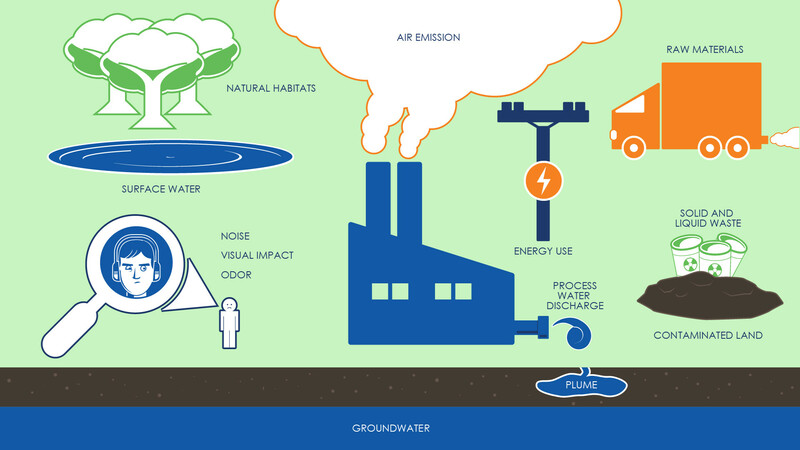 In environmental systems, waste and pollution are considered undesirable outputs of a process. This process approach is crucial to compliance and certification to ISO 14001. A process-based EMS is used as a tool to provide consistency and set expectations related to environmental impact and is the most effective method of addressing and managing risks. Within ISO 14001, organizations must define the context in which they will pursue compliance and certification. Both external and internal factors that contribute to the company’s ability to achieve their goals will be evaluated. Any part or function that may affect the company’s objectives must be considered. 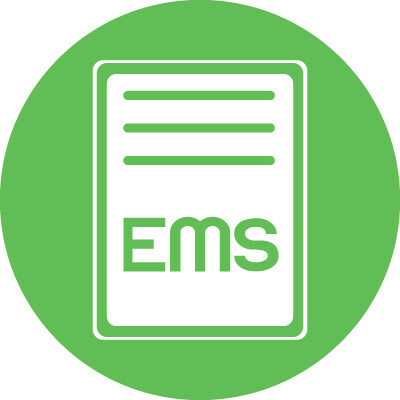 The EMS can apply to the entirety of an organization, or to specific processes, facilities, or deliverables. Once these factors have been determined, the company must then develop an understanding of the expectations of all interested parties, including customers, stakeholder, employees, and the communities surrounding their facilities. Both context and interested parties combine to help define the scope of the EMS, or the functions of the business that will be included in the development of the system. Products and services, physical locations, activities, and employees are all considerations when evaluating the scope of your project. Specific to ISO 14001, organizations must identify the environmental aspects of their business that their EMS will address, the potential impact of those aspects, and the management of those aspects. In identifying the environmental aspects companies will have to determine the difference between the activities they perform (i.e. the production process itself), the services that support their activities (i.e. machinery, boilers, maintenance systems), and the product they deliver. Regarding products, environmental aspects may be found in the packaging or in the life-cycle and recyclability of the product. Organizations must establish procedures to identify the aspects of their business that make an impact on the environment. Keeping a register of these aspects can be helpful as companies move past initial implementation and on to continuous improvement, and to plan for new or modified activities, services, and products. The more obvious core manufacturing or service activities are easy to define within the scope of the EMS, but companies must also consider offices, systems, parking lots, supplier activities – anything that could have an environmental impact. Employing employees from various departments within an organization can help with a thorough and complete evaluation of a company’s environmental aspects. Once a list has been established exploration of environmental aspects can begin. Companies will divide the aspects into direct and indirect segments, with direct aspects defined as those aspects sourced from and controlled by the organization. Indirect aspects are often those associated with non-industrial organizations, or aspects that are driven by external sources (such as subcontractor waste management or supplier-controlled inputs). After division of aspects, the company will evaluate how those aspects affect the environment. Evaluating the significance of each environmental aspect is what will help set the framework for the structure of a company’s EMS. 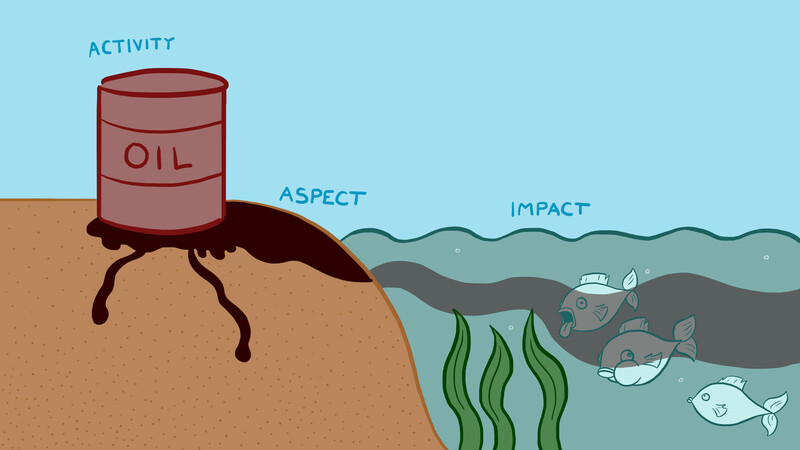 Organizations should not try to tackle every topic identified by their exploration team, but rather should focus on the aspects that will have the most significant impact. Significance is determined by a number of factors, including potential to cause environmental harm, size and frequency of the problem, importance to the team, customers, and other stakeholders in the organization, and relevant contractual requirements and legislation. This evaluation is unique to each organization implementing and EMS and should be explored with the company’s unique goals in mind. Finally, organizations will work to develop a plan to manage the significant environmental impacts they have defined through a strategic EMS. All significant aspect should be brought under control, and plans put in place that are appropriately related to the risk and impact of the aspect. Aspects can be controlled by a responsible person, training plan, or procedure, checklist, or maintenance schedule. Often, companies add unnecessary complexity to their EMS. By identifying the key environmental aspects with the highest level of potential impact at the very beginning of the process, organizations are able to utilize their EMS to realizing benefits and improve their business. Companies will be tasked with updating their existing processes to include the information pertinent to the environmental aspects their EMS will address. Utilizing the existing processes allows for easy integration of the two standards. Overall the benefit and easy integration to ISO 9001 make ISO 14001 a natural second step for many organizations seeking to add to their list of credentials. At Core Business Solutions, we’re happy to provide the support you need, whether adding to an existing management system or developing a brand new environmentally-focused initiative. Reach out to us and let us know how we can help you grow at info@thecoresolution.com.